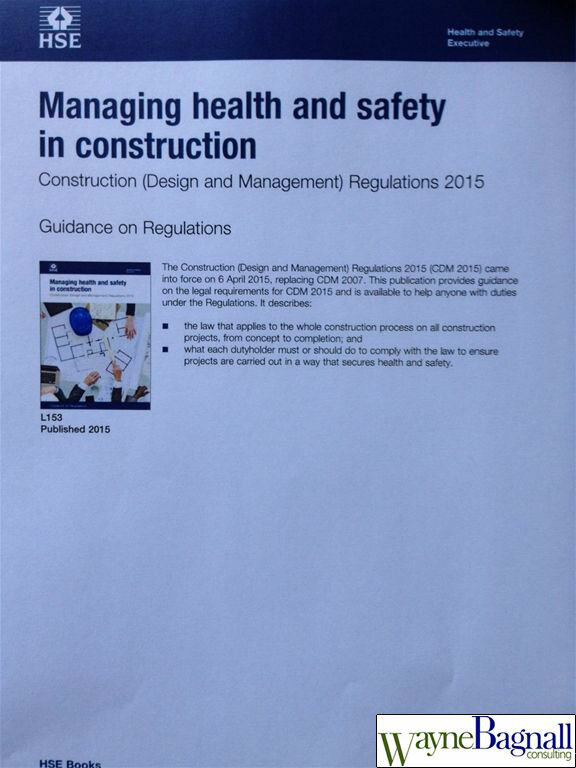 On Thursday 2/4/15 HSE finally issued their L153 CDM 2015 guidance "Managing Health and Safety in Construction" in readiness for the New Regs which came into force 6/4/15; there are transitional arrangements for projects where a CDM-C has been appointed and the Construction Phase has started before 6/4/15 for the existing arrangements to apply up until 6/10/15 or until the project is completed thereafter CDM 2015 must be implemented on the existing projects. 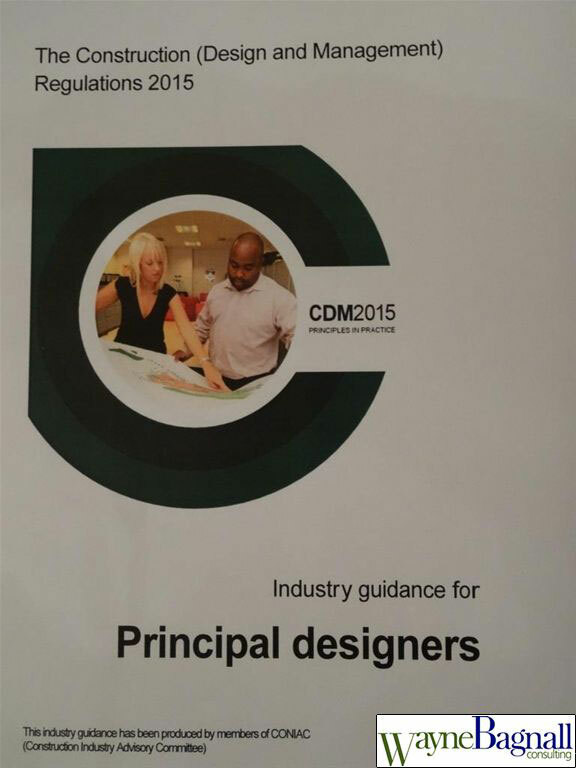 The CITB / CONIAC jointly published DRAFT guidance on The Construction (Design and Management) Regulations 2015 which came into force on 6/4/15 these regulations; the draft series guidance for each duty holder; Clients, Principal designers, Principal contractors, Designers, Contractors and Workers on The Construction (Design and Management) Regs 2015. These will be updated and issued shortly. 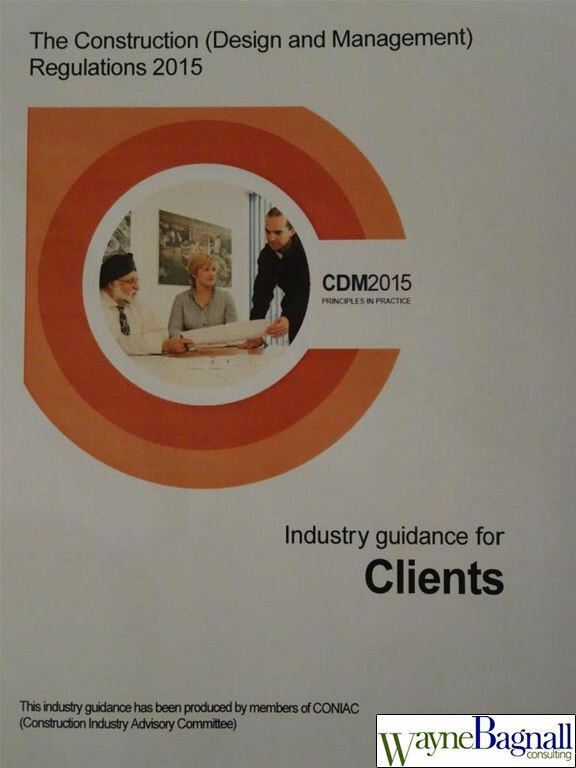 You can access the HSE L153 and the 6 CITB draft documents by visiting my useful information section or the HSE website.